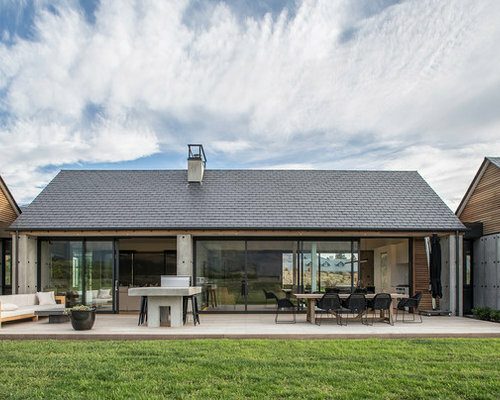 A recently subdivided farm on Lower Shotover Road features a number of flat north facing sites with large building platforms. 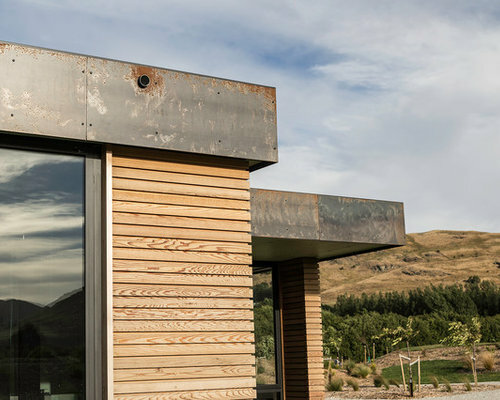 Each site features all day sun and panoramic views from Coronet peak in the north to The Remarkables in the south. 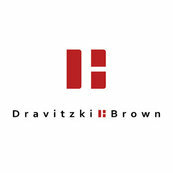 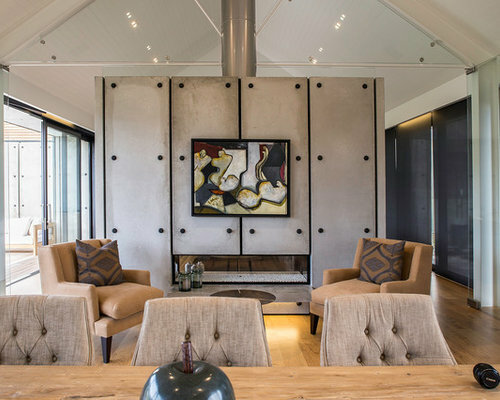 This 415 square metre home has 4 bedrooms each with their own en suite bathroom and walk in wardrobe. 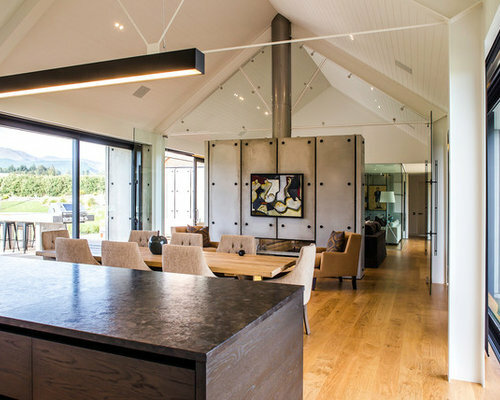 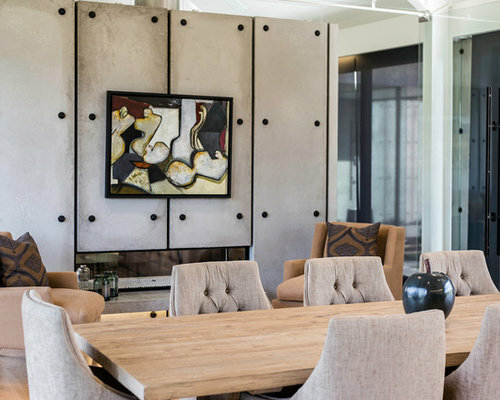 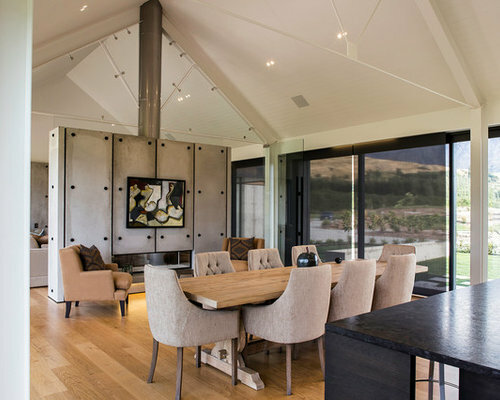 The two living areas feature exposed trusses and large back to back fireplaces. 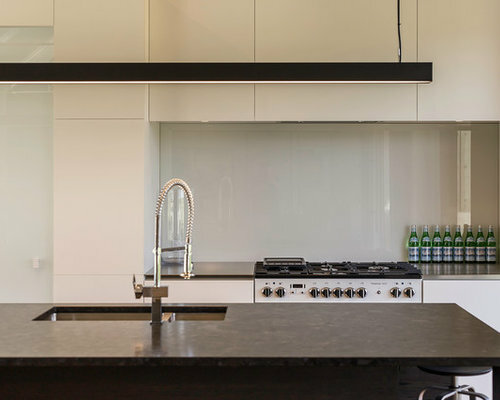 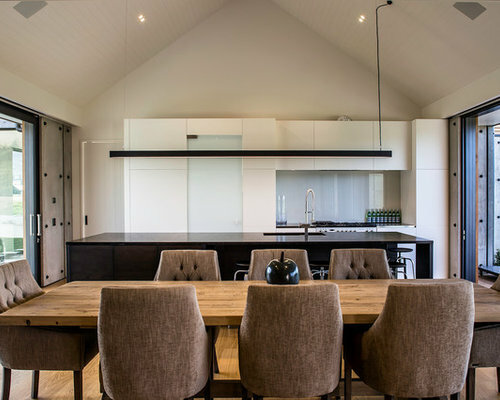 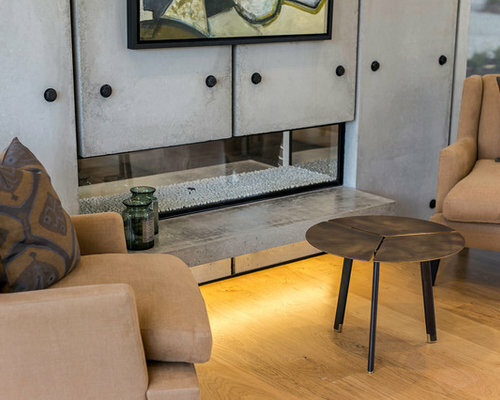 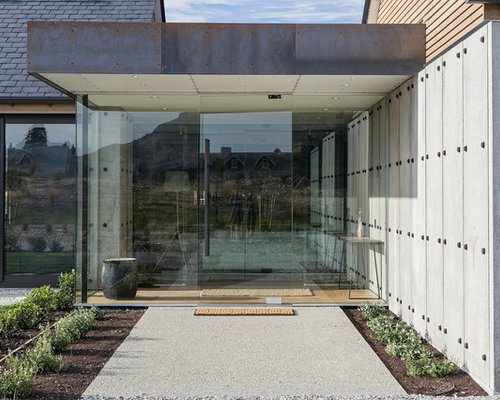 Features of the home’s interior include a frameless glass entry, large scullery and a bespoke wine cellar. 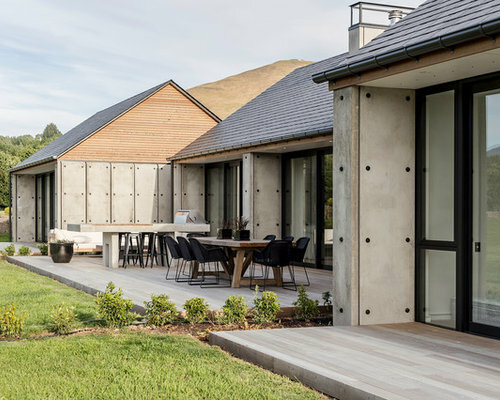 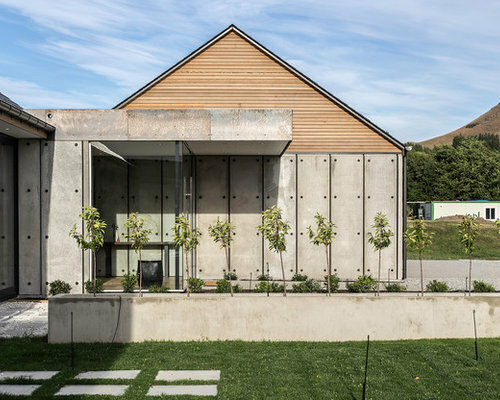 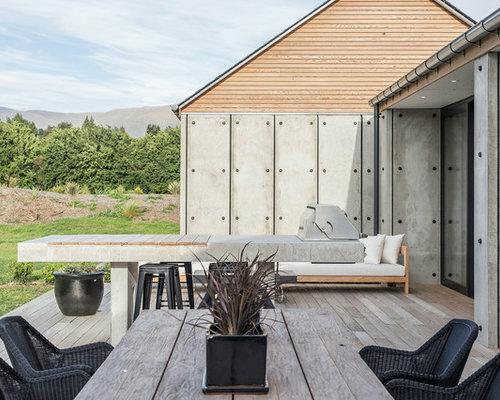 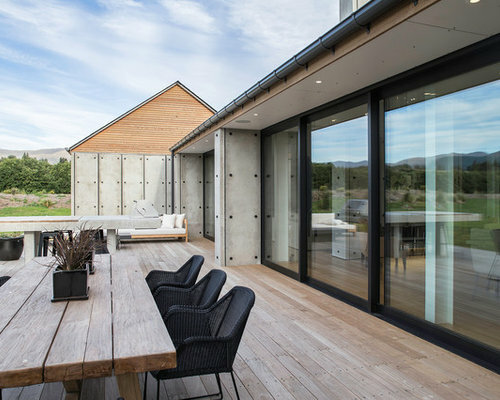 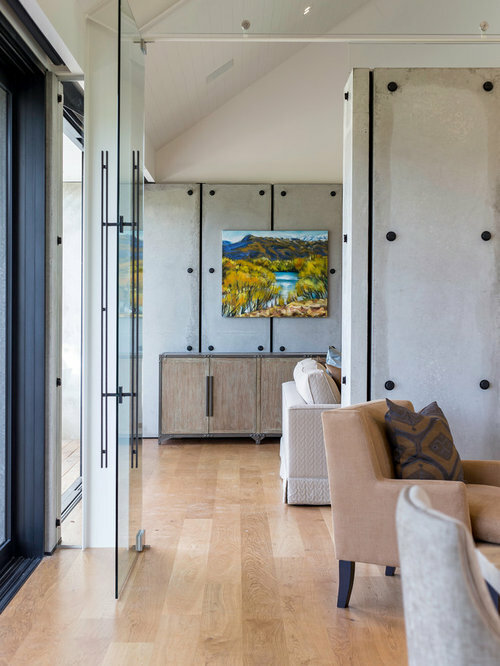 The exterior of the home is clad in pre-cast concrete panels, cedar weatherboard and slate tile roofing.